Each of you are only allowed to be in 2 mainships / 1 mainship + 1 rowboat! Rowboat – Non-original pairings but have paired up nonetheless; including fictional pairing by WonderfulVIPs. Woah I can’t believe that Team RiMi has the most members! LOL..
its so good to be true!! woah so many rimi shippers!!! what’s with the heart unnie? i ❤ it!!! ah ok so anyways YAY!! congrats on this blog! it’s freakin awesome!! gonna explore some more~~~! I was so relieved to know that you guys added me onto the WB Family. Gosh, I’m just silently waiting for another WB collab or something. Hopefully, it will happen again! PIA / CONNIE –> the hearts just signifies that you’re on the fam bam whereabout list.. You can see the list in this blog as well..
DENA –> Haha..Of course you are! In fact, everyone who Loves WonderBang are listed above.. Well, currently, its not updated yet..Hahah… And yeah, I’m waiting too.. Let’s pray hard!! omg! I missed out about news on this blog. just silently waiting for a WonderBang collab. i hope they WILL make a comeback in 2009. GO TEAM DAEEUN and TEAM RIMI! I was thinking if anyone is a fan of the new couple,TOPMI/TOMI? Because I am.Love this most awkward couple. G-Ye RiMi and DaeEun! Hwaiting! heedragon i want to be in heedragon team.how can i do???? @ toi_la_ruby >> hello!! I will add you to the team when I have the time to update this list.. No worries..
Oh, i look so lonely under SunTae! @ Roriline >> Hahaa.. It’s Ok.. I just updated this list like yesterday? And I saw your name in the forum.. Hahaha.. Don’t worry! There are other SunTae fans out there!! It’s just that I don’t know where to find them!! hahaha..
i vote for RiMi…they’re perfect one another…. @ nathalie >> i assume you’re in Team RiMi then?? i like it better to be daehee.! but i guess that’s good too.! Could you add me to HeeDragon? @ choko >> added!! are you THE choko? Rori’s sister?? hehe..
Ooh, could you add me to DaeEun please? did i mention i’m the awesomest sis? I support Heedragon from the very beginning!! Until the end! @neha200 & @Vanessa >> Added! Welcome to the team! @ QutieAZNgirl >> Welcome!! You’re added! Me too. Heedragon team please! Could u please add me? Thanks a lot! i wht u join plz love them 2 much!!!!!! which team am in!!! dont get it!!!!! wht do i have 2 do!!!!!! @ sid >> you just have to tell me which Team you want to be in. It’s simple. 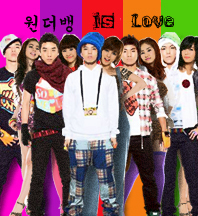 Is it WonderBang, TooBin, G-Ye, HeeDragon, etc. That’s all. Mandu loves Dragon… and Dragon loves Mandu!!!!!!! no DOUBLE YB TEAM YETT! how can that be?! i’m saying that there should be onee.